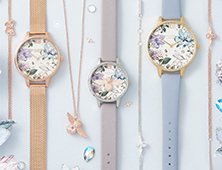 This beautiful watch is inspired by enchanted gardens. 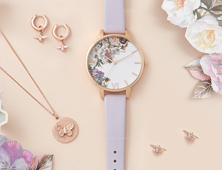 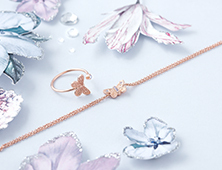 Whimsical blooms and butterflies dance across a fresh dial that's housed within a rose gold-plated case. 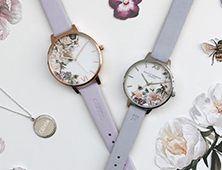 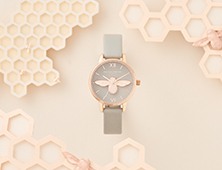 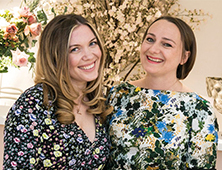 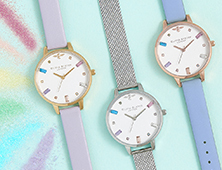 The luxe mesh strap – featuring the Olivia Burton logo on the clasp – will glide any look from day to night and calls to be teamed with sleek jewellery styles.